There’s nothing like a fresh coat of nail polish to help you complete your look. Even better, being able to flaunt those beautiful nails for 2-3 weeks. Style Gel is best recommended to Working Professionals who have to be groomed all the time. It is a time saving service. Sounds like a dream, but is it safe for your nails? There are a lot of myths about gel nails that range from silly to outrageous. Experts from Lakmé Salon share some interesting facts about Gel nails. 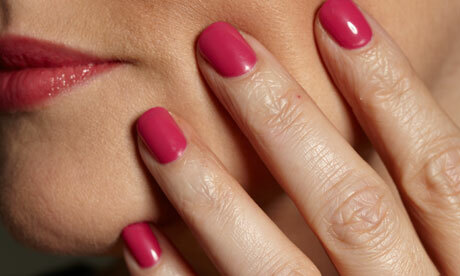 Gel manicures are a relatively new trend. Here’s how it works: a special type of gel polish is applied to the nails and then cured under a UV or LED light. This hardens the polish into a glossy coat that’s super durable and resists chipping. Unlike acrylics, you don’t have to drill or file down your natural nails. Gel nails are also odorless and don’t require the same harsh chemicals to apply. So you end up with a manicure that stays chip-free and shiny for up to four weeks. And best of all, they dry instantly! Human anatomy, states that nails cannot “breathe” in principle. There is no oxygen in the nail plate, and it does not need it. Nails, teeth, hair are all dead fabric, within which there are very thin channels to produce oil or moisture. That’s why our nails shine and do not break. If there was air at the top of the plate, not even super materials would stick to it. The emission spectrum in lamps used for drying the gel, differs from the lamps in the tanning bed. Hence unlike what most people think, it most certainly does not cause skin cancer. Acetone should never be used on gel nails or even normal nails as they damage the nail bed, alternately one must use a nail remover. You can apply a different nail color on your Gel colors nails and can remove it with a Nail Polish Remover. Your Gel color will continue to remain intact & you will also get a change in style. – RESPECT your skin, nails & health. Wear rubber gloves for all cleaning, scouring, sanding, painting etc. – FILE ONLY. Preferably, get your nail technician to do this. – When damaged, get your nails REPAIRED by your nail technician as soon as you can. – Remember, your nail extensions are JEWELS not TOOLS. While nail extensions is tough, it is not indestructible! – Use ACETONE FREE nail polish remover ONLY! – Soak fingers in warm water & mild soap 5-10 minutes to soften dirt, then scrub gently underneath nail with a nail brush or soft toothbrush. – Don’t expose your nails to harsh chemicals, petroleum products, abrasives or household cleansers to avoid crumbling of gel nails. – Don’t bite or cut your nail extensions as it can shatter damaging your natural nail plate. – Don’t glue broken or lifted extension nails. Glue isn’t watertight. – Don’t use your nail extensions to open cans, or anything else that puts them at risk of breaking. – Don’t use acetone or regular nail polish remover. – Don’t gouge dirt from under your nails with pins, needles, metal nail files or any other sharp object. You may cause infection under nail.